A mammoth development project that will take almost four years to complete and have far reaching impacts for commuters is about to begin right in the heart of downtown D.C.
News4 has learned the "Capitol Crossing" project, which will reconnect the city grid above the 3rd Street Tunnel in NW is expected to start mid-March. Think of it this way -- a developer basically bought a bunch of air between Massachusetts Avenue and E Street NW, and now plans to build big on that space. "You are going to have three new blocks of downtown Washington. You are not even going to know the highway is down there," Robert Braunohler, regional vice president for Property Group Partners, the developer of the project, tells News 4. Four new office buildings and a residential building will essentially appear and cover the vast open section of the tunnel. G and F streets NW will also be reconnected across the tunnel. But it isn't going to be easy, and it certainly will not make some commuters happy. In order to accomplish this modern marvel type feat, a network of beams, columns and girders will have to be built along the tunnel. That framework will then essentially be the base for the new development. The lattice-like structure of steel alone will cost about $250 million. "The highway is down in a trench for a reason," Braunohler said. "This was always planned. When they built the highway back on the 60's, the idea was eventually it would be built over. And now we have finally gotten to where the market has caught up with that vision." He says lanes of traffic will not be shut down during the day, but rather "shifted" as a way to make room for all the construction. "There's a lot of room down on that highway, so we can shift traffic around," Braunohler said. "The speeds will go down, but the lanes will stay open." 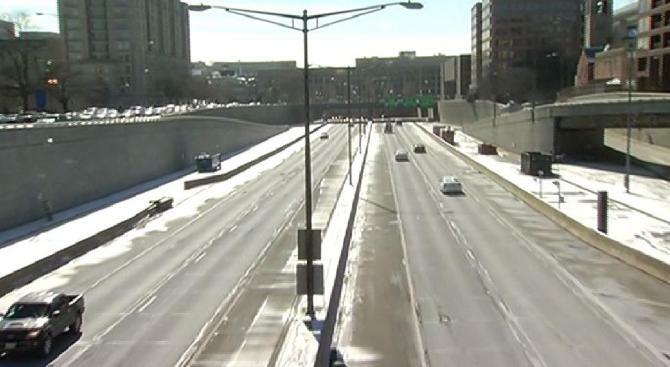 The tunnel, which also connects to New York Avenue and the Southeast-Southwest Freeway, is a major cut-through for travelers in D.C., Maryland and Virginia, not to mention out-of-towers passing through. Project leaders anticipate having to close the 3rd Street Tunnel overnight at some points so that beams can be lifted and fit into place. In addition to actually covering the tunnel, nearby Massachusetts Avenue is going to get a makeover. This is where the impact will be felt first. A huge 30-inch water line that runs under Massachusetts Avenue will have to be moved, and in the process, a new entrance to the tunnel will be created. Traffic will eventually enter the tunnel while traveling eastbound on Massachusetts Avenue, not from 3rd Street, which is the current set-up. It goes without saying that the District Department of Transportation will have to closely monitor the project and alert commuters to upcoming closures and shifts. "It is an amazing amount of outreach that we are going to have to do," DDOT spokesperson Reggie Sanders said. And as far as the traffic impact? "I think it is going to be another challenge. There's gonna be some pain, there's gonna be some disruption," DDOT Chief Engineer Ronaldo "Nick" Nicholson said. "My job is to make sure people have choices so they know how to plan ahead."